The reasons for not seeing a movie in the theaters are myriad. An aversion to crowds. Better home entertainment systems. Milk Dud allergies. General misanthropy. Being a time-traveler from the 18th-century who doesn’t want to be crushed by these strange, bellowing giants. But if you’re like most people in America, the No.1 reason is inflated ticket prices, with 53 percent of respondents to a recent poll saying cost is the deciding factor in their choosing to stay in and text from their couch instead while a film plays vaguely in the background. With the domestic box office sliding 5 percent in 2014—and while average ticket prices rose to over $8 in theaters that you’d probably like to go to, considering what you actually pay—these new findings are certain to give theater owners pause before they return to affixing $7 price tags to Raisinets. Other factors include the shrinking VOD release windows that have made it easier than ever to just watch at home (24 percent), or the declaration made by the 30 percent of people who just “prefer movies ‘on my own schedule’,” not the fascist timetables of movie Mussolinis. Who gave you your power? We didn’t elect you! And then there is the dystopian maw of the modern multiplex itself, full of “too many people using phones and tablets in theaters” (10 percent say), which has contributed to a “decline in overall theater experience” (16 percent), alongside the fact that there are too many people, period. 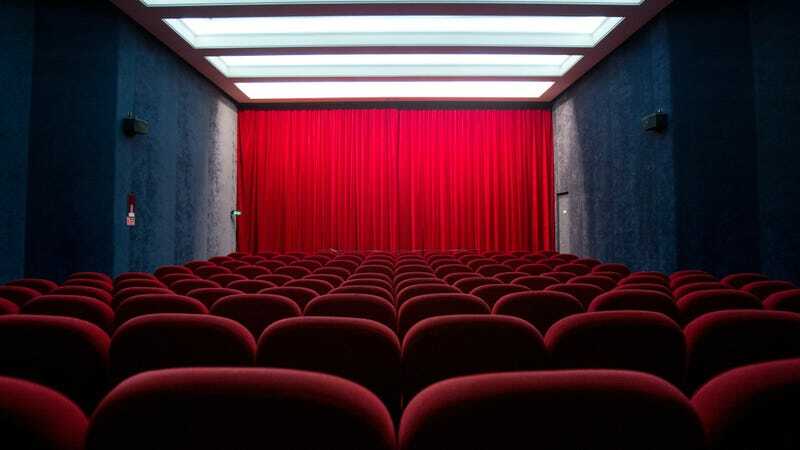 Perhaps even more intriguing was the second most-cited reason for low attendance: “Movies are not as interesting as they once were,” said 41 percent of respondents, wistfully, probably over a glass of homemade lemonade. Of course, the fact that theater attendance is down is the very reason movies are not as interesting as they once were, as frightened studios take fewer gambles by banking on sequels, remakes, and other exploitations of brand recognition, which the theaters then overcharge for to make up for lower turnout, which then prompt scared studios to take fewer gambles, etc. etc.—all creating a Möbius strip of never-ending disappointment. And it’s 100 percent everyone’s fault.